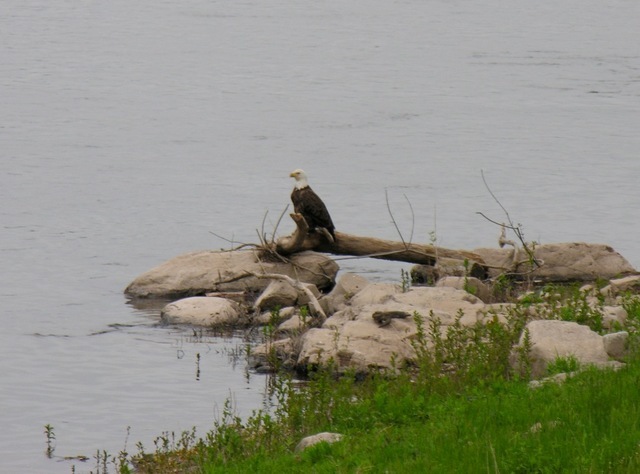 Bald Eagle enjoying breakfast on the Shore of the Susquehanna Wednesday ~ at Bridgeview Bed & Breakfast. 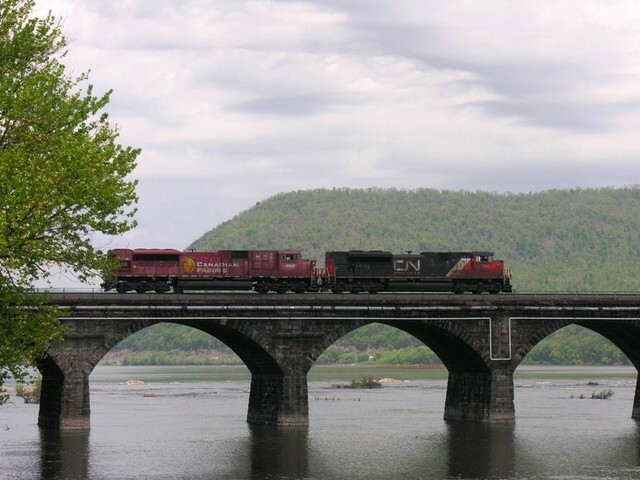 CN SD70M-2 & CP SD90MAC take a spin on Rockville Bridge Tuesday ~ at Bridgeview Bed & Breakfast. The Dynamic Duo!! 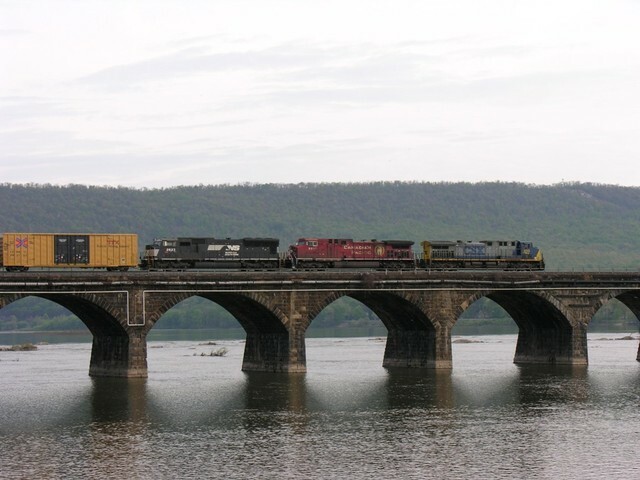 NS 1070 Wabash & 8099 Southern in a power move from Enola to Rutherford Tuesday ~ at Bridgeview Bed & Breakfast. 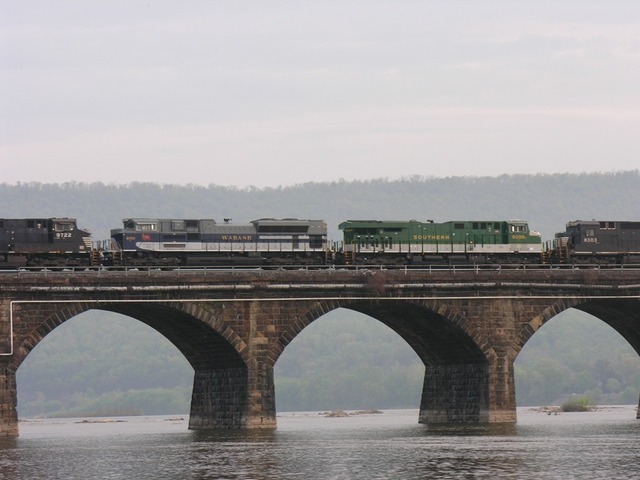 A nice colorful trio heads out onto Rockville Bridge with a manifest freight Monday ~ at Bridgeview Bed & Breakfast.